COLUMBUS (October 11, 2018) – On the International Day of the Girl, Ruling Our eXperiences, Inc. (ROX) reveals new findings related to adolescent girls and careers from a national survey of more than 10,000 girls. The largest study of its kind, The Girls' Index™: New Insights into the Complex World of Today's Girls, provides a deeper understanding of the factors related to girls’ abilities, perceptions and aspirations for their futures. 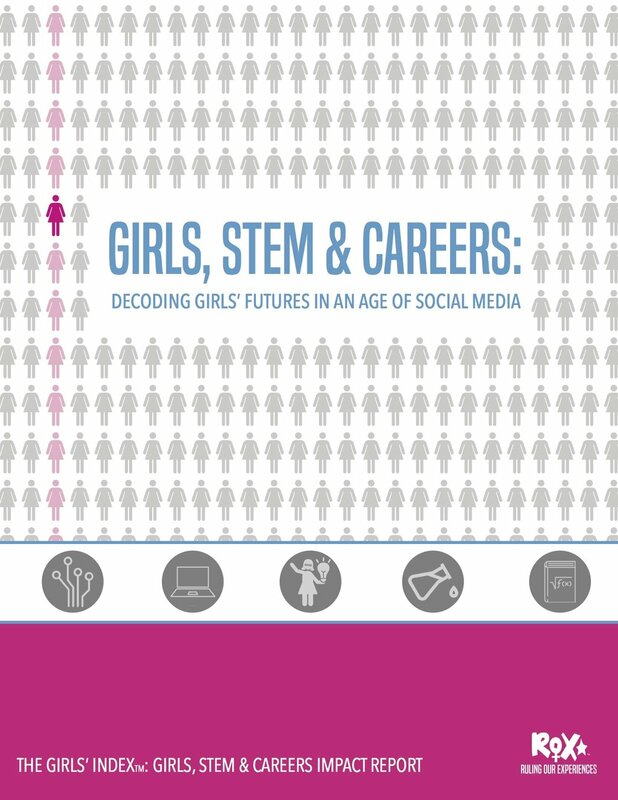 The findings from this new report entitled, Girls, STEM and Careers: Decoding Girls’ Futures in an Age of Social Media, were released today at Intuit Headquarters in Mountain View, CA as part of this year’s International Day of the Girl celebration. Girls’ interest in pursuing a career in math and/or science increases 16 percent from fifth to ninth grade, however, during these years there is also a 15 percent decline in girls’ perceived abilities in math and science. Additionally, overall confidence declines as girls get older. More than 42 percent of girls believe that there are certain jobs that are better for men than women. Additionally, one in three girls believe that boys are encouraged more than girls in the areas of math and science. “When fifty percent of high school girls report that they are considering a career in a math and/or science field, we celebrate this as a sign that the national efforts to increase girls’ interest in the STEM fields is having a positive impact. However, when nearly the same percentage of girls do not believe they are smart enough for their dream job, we recognize that we need to augment our efforts to support girls personally and academically,” said Dr. Lisa Hinkelman, ROX Founder and Executive Director and principal researcher of The Girls’ Index.